My Highly Caffeinated Thought: A book that is entertaining, full of heart, and just the right amount of sass. 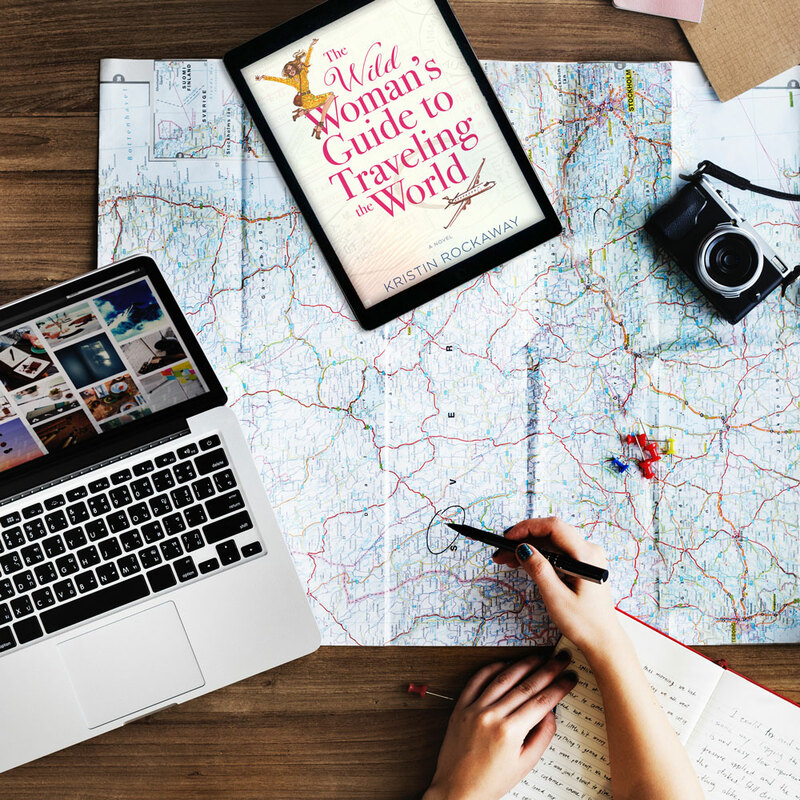 THE WILD WOMAN’S GUIDE TO TRAVELING THE WORLD is from beginning to end a thoroughly enjoyable book. My inner planner loved Sophie’s need to have everything laid out in front of her, but then my artist side would cheered as she begins to realize that maybe she should be doing something else with her life. The entire book is really a push and pull between what Sophie thinks she is and who she really wants to be. In an effortless way, Rockaway captures the essence of her characters. She breathes life into Sophie and Carson by giving them real problems, inner struggles, and emotional outbursts. However, I loved it the most when I was reading about Sophie and her journey to discovering what she wants her life to be. Maybe it is the wistful dreamer in me trapped in a control freak's mindset, but I really enjoyed seeing her break out of her box. This book is honest, witty, and sincere. A wonderful debut novel! And I have to finish this post with a well deserved shout out to my alma mater, School of Visual Arts. I actually laughed out loud when I saw it in the book. The perfect finishing touch to an already great read. Reviewer Disclaimer: I received a copy of this book from the author and TLC Book Tours in exchange for an honest review. About the Author: Kristin Rockaway is a native New Yorker and recovering software engineer. After working in the IT industry for far too many years, she finally traded the city for the surf and chased her dreams out to Southern California, where she spends her days happily writing stories instead of code. When she’s not writing, she enjoys spending time with her husband and son, browsing the aisles of her neighborhood bookstores, and planning her next big vacation.